The visually stunning documentary intimately probes the psyche of one of the world’s most interesting athletes, professional climber Alex Honnold, and asks the question: How can he risk pain to the people who love him in pursuit of a lofty personal goal? Rating: 4 stars out of 4. In the opening scene of “Free Solo,” a television interviewer asks professional climber Alex Honnold a question that sets the stakes of the film, the story of Honnold’s rope-less conquest of a route on El Capitan, a legendary rock face in Yosemite National Park. “Yeah, you seem to understand it well,” Honnold says, neither cavalier nor relishing in the grim reality. For adventurers pushing the limits, it’s an age-old question, made starker by the lack of safety gear: Why risk your life for sport? Other adventure films, if they’re not merely stoke-brimming highlight reels, might linger on this question and relish in Honnold’s ultimate feat — a product of calculated study and obsessive practice. But “Free Solo” sets itself apart by intimately probing the psyche of one of the world’s most interesting athletes. It examines Honnold’s personal relationships and how he rationalizes the desire for accomplishment — to him, the pursuit of athletic perfection — with the potential ramifications to those close to him. Despite the gravity-defying cinematography and alpine setting, “Free Solo” transcends the climbing world and intimately examines something universal. 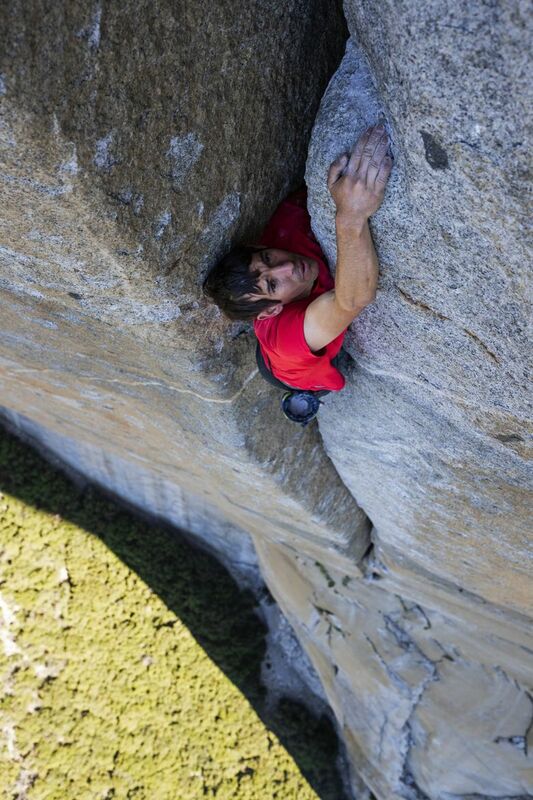 How can Honnold risk pain to the people who love him in pursuit of a lofty personal goal? It’s a question the filmmakers are uniquely positioned to examine. Jimmy Chin, a producer, photographer and director, is a world-class climber. His wife, Elizabeth Chai Vasarhelyi, who produced and directed, has perspective from the other side of such a relationship. The camera also captures the perspectives of those who handle it. A crew of professional climbers intricately rigged and shot Honnold’s ascents on El Capitan’s 3,200-foot vertical rock wall, creating a visually stunning masterpiece nearly as impressive in execution as the climb itself. On camera, the crew serves as a Greek chorus of sorts, ratcheting up tension as they project anxieties about their own roles in enabling Honnold’s pursuit, which could send him falling out of their frame and to his death. But it’s Honnold’s girlfriend, Sanni McCandless, whose tears mark the emotional climax of the film. Throughout, McCandless challenges the idea, of Honnold and other climbers, that emotional distance is required armor for such a mentally committing challenge. It’s left up to the audience if the historic, final scenes of balletic genius justify her anguish. 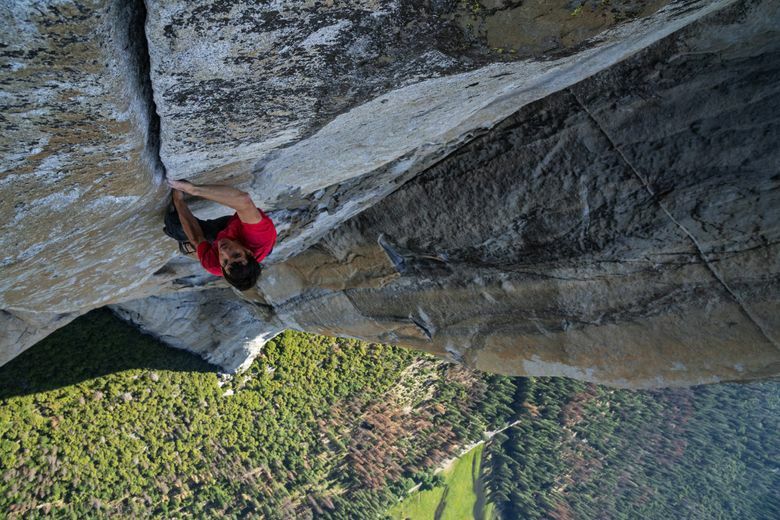 ★★★★ “Free Solo,” a documentary directed by Jimmy Chin and Elizabeth Chai Vasarhelyi. 100 minutes. Rated PG-13 for brief strong language. Opens Oct. 12 at multiple theaters.